A smart Donegal tweed gilet, featuring a navy-blue herringbone with a rich burgundy, green and blue check. This unique fabric is designed and woven in our mill in Donegal, Ireland. 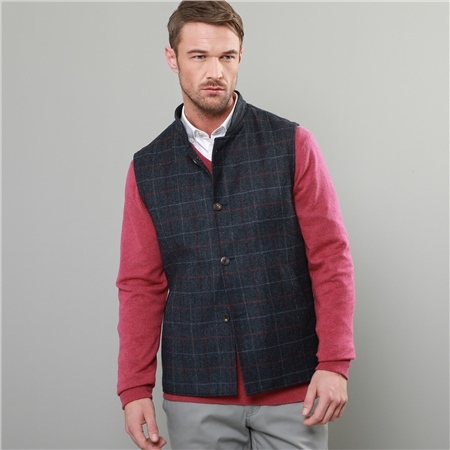 The Cavan gilet is a great alternative to the classic jacket.